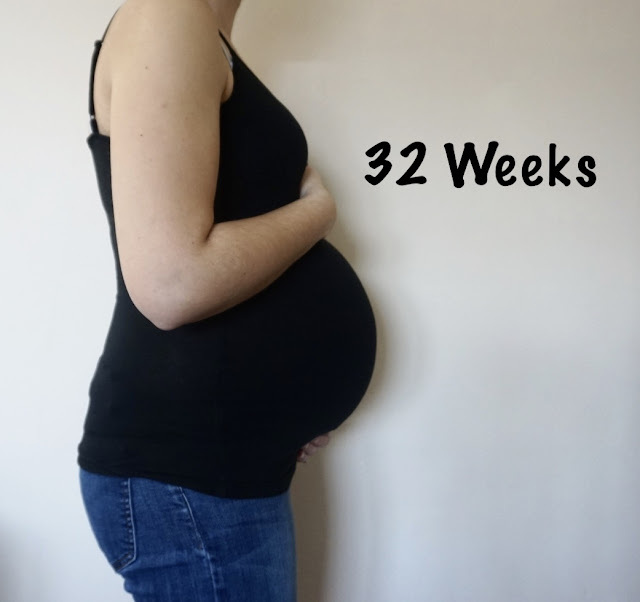 This week baby is around 3.7lbs and 42.4cm long. They are getting so big. The finger nails and toe nails and fully formed and hair is getting thicker. Baby is also starting to prepare for birth by laying head down. This week I felt awful. Really weak, nausea, headaches, tired and such bad heartburn at night. I also started having more braxton hicks and the baby was moving so much. I noticed that my skin on my forehead is so much clearer now which is nice but it is quite dry on my cheeks and my hands.